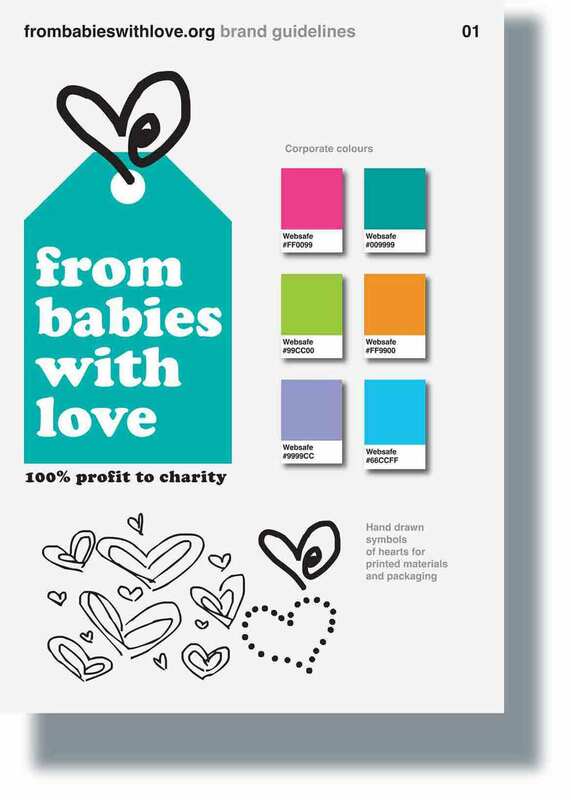 From babies with love is a unique social enterprise that gives 100% of it's profit to charities that support abandoned and orphaned babies and children. It raises money by selling children's clothes via it's e-commerce site. We were very excited to be asked by Cecilia Crossley, the mastermind behind this new organisation, to create an identity for it. She immediately recognised the important role that design plays in giving an organisation a unique voice. Ideology designed a brand identity, some simple guidelines and a website to reflect it's ground-breaking position in the market and appeal to it's core audience of caring young mums. A bouncing new identity was born.